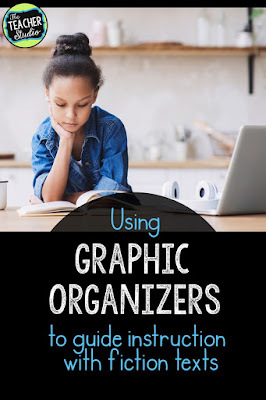 As you know, the purpose of a graphic organizer is to help students (or adults!) make sense of information and organize it into a visible, usable fashion. Sometimes using an organizer is all we need from students—a way for them to represent the information we are asking for. 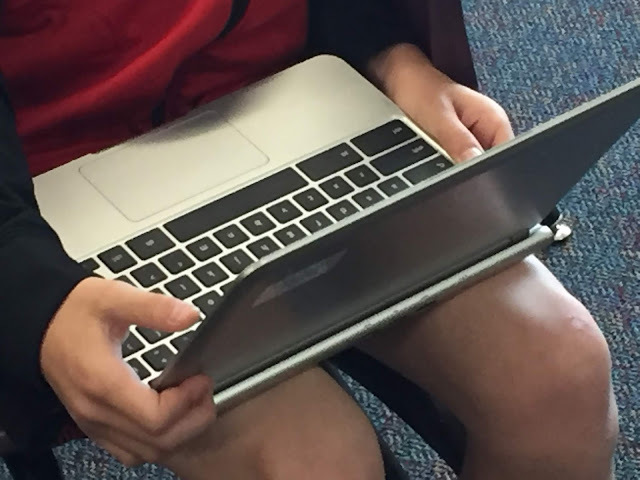 Sometimes, however, we want students to organize information for other reasons…like to do a piece of writing. I wanted a way for my students to be able to track their thinking about the texts they read, but also for them to be able to use those notes to complete a short piece of writing to show me their thinking and depth of understanding about a text. All year long I share novels, picture books…students read during independent reading, book clubs–you get the drill. There is never enough time to confer with everyone and get as much information as needed to see how deeply students are thinking so, part of the time, I do rely on some written work to check for that depth of understanding. The more I thought about it, the more I wanted to be able to be able to quickly consider what skill or learning target I wanted to focus on, and then have a low ink (or digital) way to get students thinking—and then writing about texts. I have books and books of examples, but could I find the exact graphic organizer I was looking for? Nope! 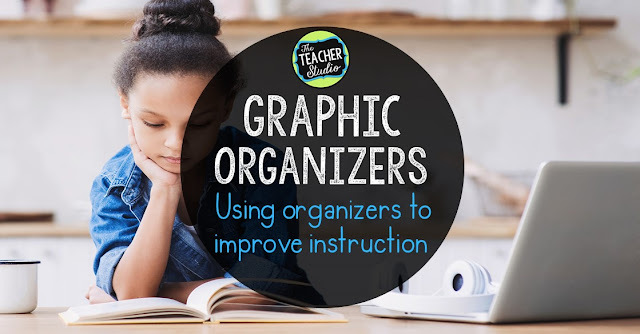 There are countless resources out there filled with different graphic organizers–none of which were going to do what I needed them to do. I decided to create my own for a number of reasons. 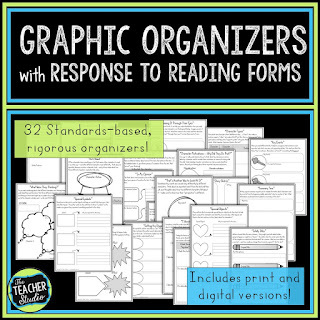 •This resource has the print AND digital versions of these organizers so you can use them either way. •This set also has a written component so students can use the organizer to jot down their thinking. 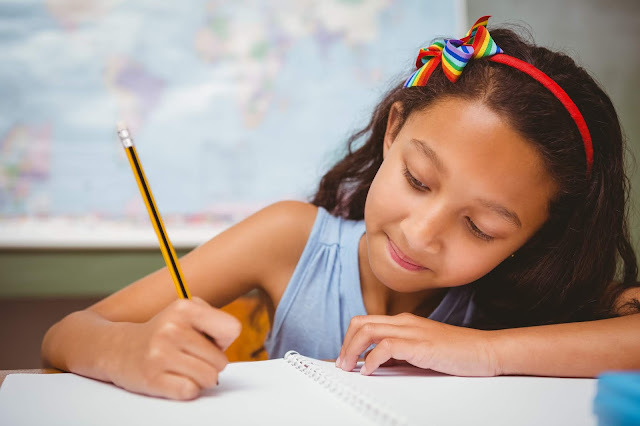 Students then can “write long’ about them to deepen their thinking and work on their writing skills in a meaningful way. •These organizers are meant to dig deeply into rigorous standards and get students really thinking deeply about texts, not just fill in the blanks. •Are they able to find examples in the text? •What is their “depth” of understanding? •How reflective are they as they read? •How much scaffolding or “coaching” do they need to make sense of the text? •Does their written work seem to match their reading level? •What instruction needs to happen to support them as readers and writers? •Do the texts they are reading seem to be a good fit for them? When Do I Use Graphic Organizers? The sky is the limit—but here are some ideas for you! •Use these to model your own thinking about texts you share with the class…read aloud novels or picture books. Show how you track your thinking on the graphic organizer AND how you take that information and turn it into a piece of writing. •Use this as “ready to go” work for book clubs where students can read, reflect, write, and then discuss! •Use this as an assessment…either have students use a graphic organizer to show their thinking about a book you have shared with them or their own reading. •Have students work in partners to get them talking about books and finding those essential ideas and text evidence. •Work to fill out the organizer as a class (or as a part of a small group) and then have students work independently to do the reflective writing. •Use this as a way to get more writing instruction into your day. Teach about paragraphing. Show them how to use transition words to connect ideas. Model how to write topic sentences and supporting details. Show them how to cite evidence from the text. 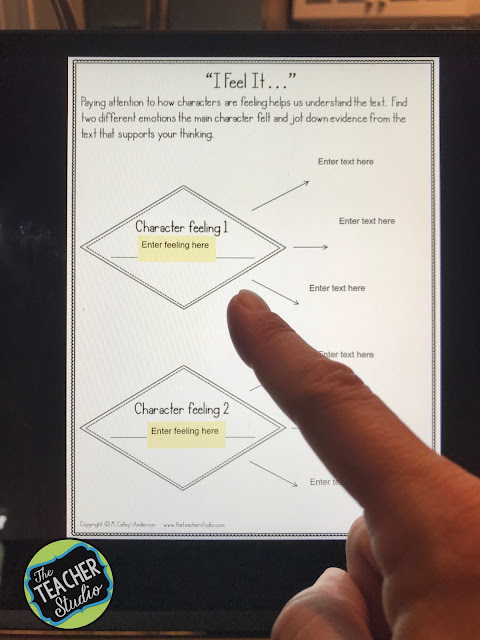 So if you think you might be interested in trying something like this…just click the link here to see my fiction graphic organizers or click the image below. Want to see how I use a graphic organizer in my narrative writing unit? Check out THIS POST. Or, rather pin THIS post for later?